98 (54 female) students at Tiny Toones (NGO) in Phnom Penh. 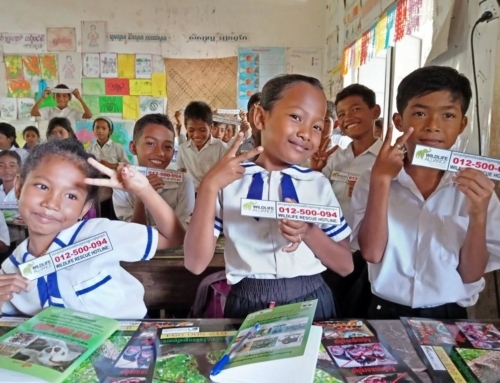 25 (11 female) students at Empowering Youth in Cambodia (NGO) in Phnom Penh. 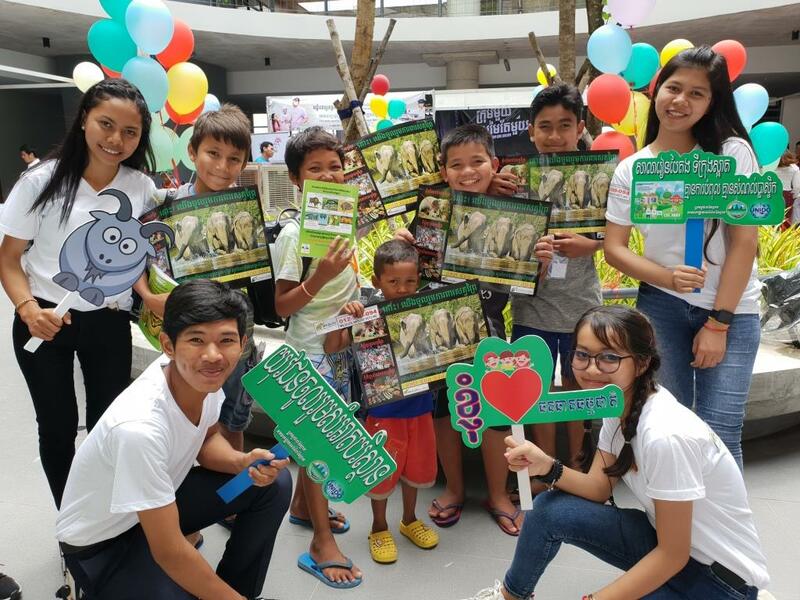 About 500 children from 8 orphanages joined the event at Union of Youth Federation of Cambodia, Phnom Penh. 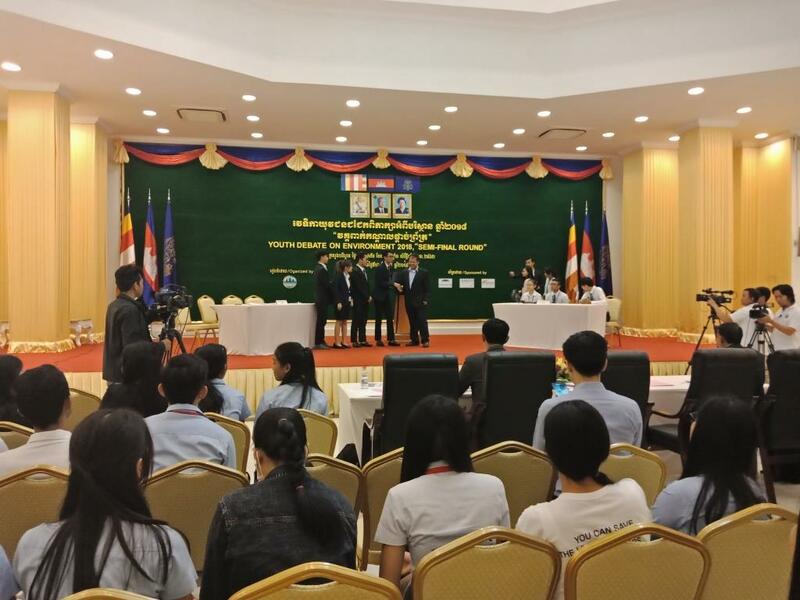 About 5,000 people in National Career and Productivity Fair event in Phnom Penh. 86 students and teachers from Tiny Toones. 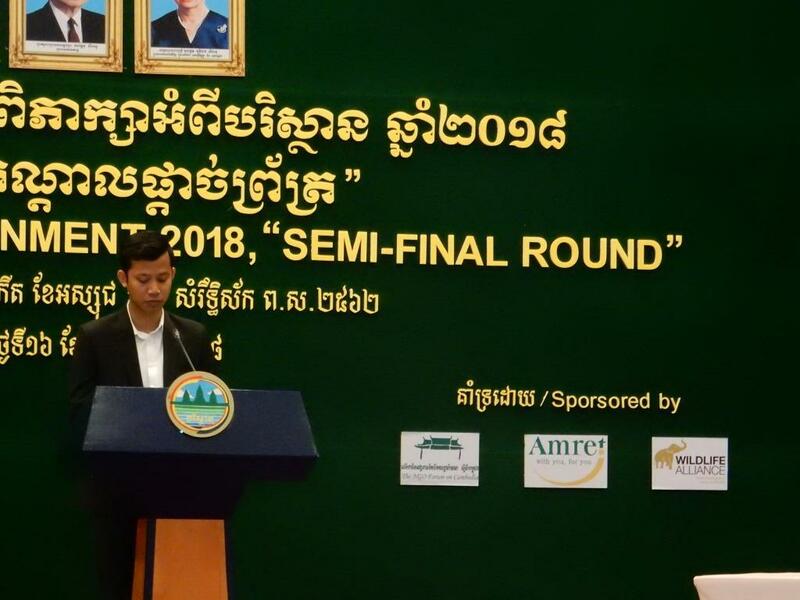 32 students and teachers from Empowering Youth in Cambodia.Oct 16:Kouprey Express team participated in the Youth Debate on Environment at the Ministry of Environment (MoE) in Phnom Penh. 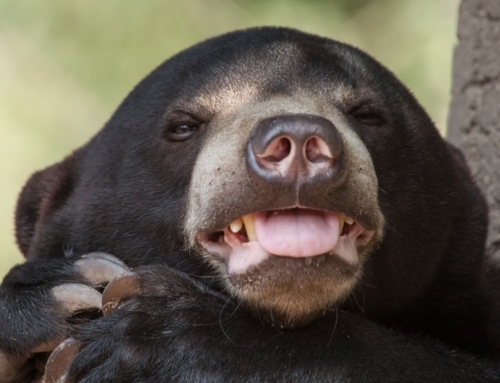 The debate was sponsored by Wildlife Alliance, Amrit Microfinance Institution, and The NGO Forum. 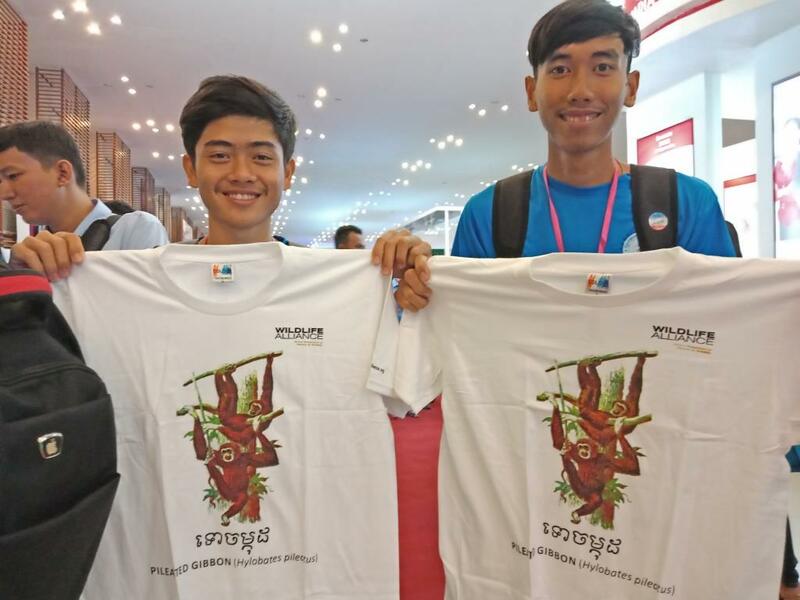 The all-day debate was the semi-finals with 130 MoE staff and university students participating in the televised event on Apsara TV. 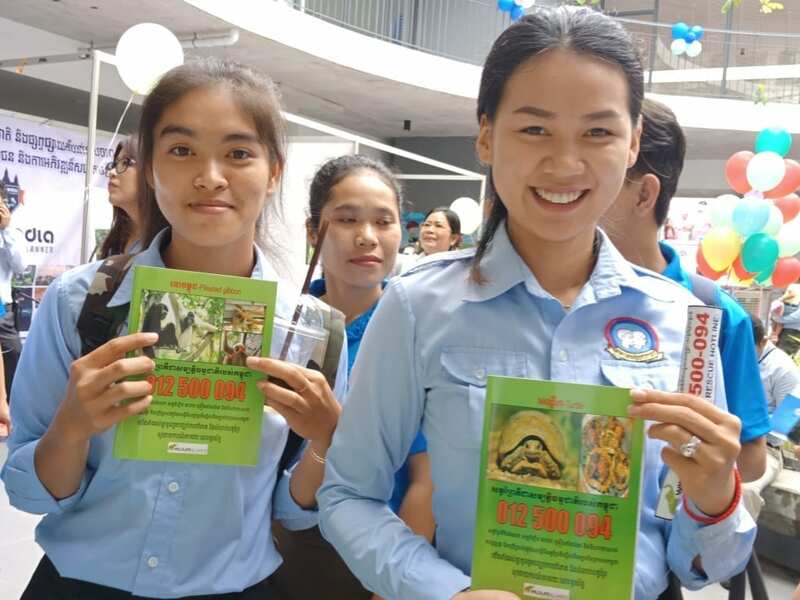 The KE was on hand to provide information as needed and also arranged our wildlife mascots to distribute wildlife rescue number sticker to the audience during break time. 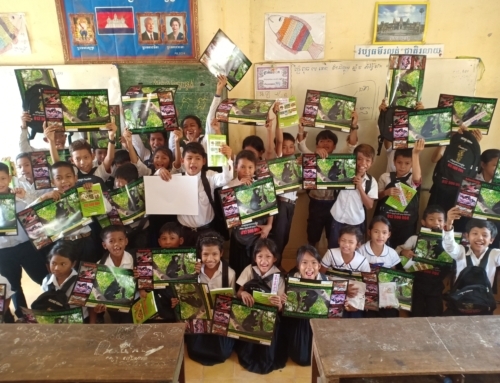 Oct 18: Per Tiny Toones policy we are not allowed to use their photos –Kouprey Express team went to raise awareness on habitat and wildlife conservation with 98 (54 female) students at Tiny Toones organization in Phnom Penh. 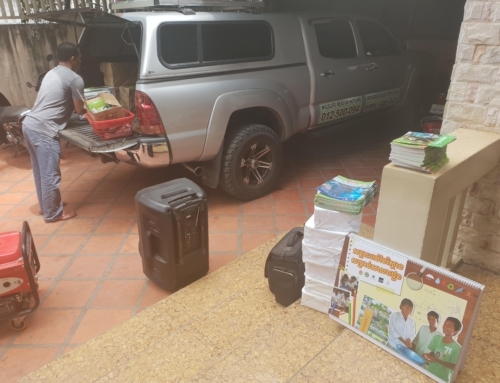 We also distributed t-shirts, notebooks, pens, animal posters, and backpacks to all of them in the end of the activity. 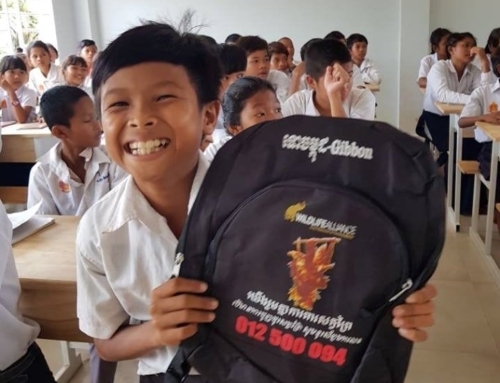 Oct 19: Following our lessons, the Kouprey Express took 86 students and teachers from Tiny Toones organization, Phnom Penh to visit Phnom Tamao Wildlife Rescue Center to give them an opportunity to see wildlife they would otherwise not see. 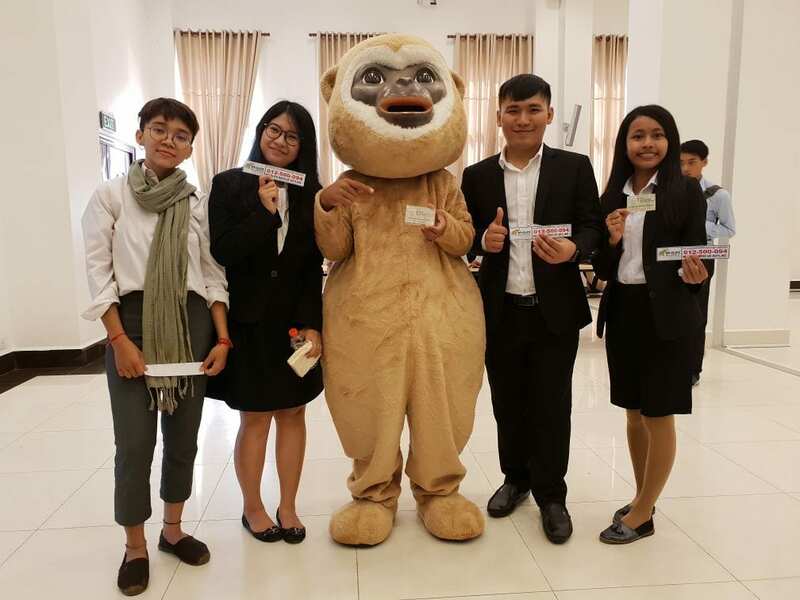 Oct 20: KE team was invited by MoE to conduct public booth in the Dream Program event into the Union of Youth Federation of Cambodia (UYFC) in Phnom Penh. 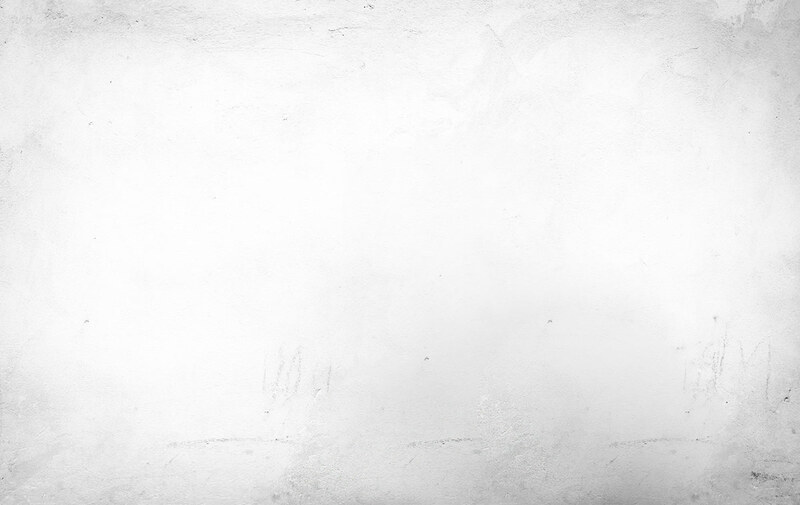 there are more than 500 children from 8 orphanages. the program has an initiative from MoE and UYFC with the aim of encouraging the kids to learn, love, and have purpose for their future. 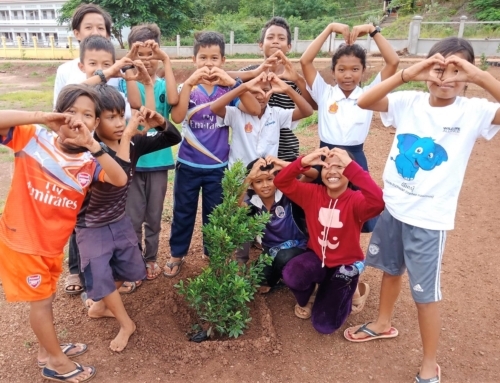 Oct 22: As a part of enhancing of conservative effort, the team worked with 25 (11 female) students on wildlife and habitat protection at Empowering Youth in Cambodia, Phnom Penh. We could only conduct our presentation because that the school space was too narrow and could not accommodate our other activities and games. 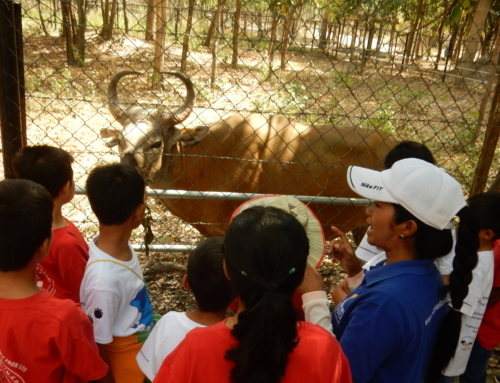 Oct 24: The KE took 32 students and teachers at Empowering Youth in Cambodia on a study tour at Phnom Tamao Wildlife Rescue Center. The kids who participated are all eager to be youth leaders and teach their peers about the importance of the environment. We will be conducting more activities and lessons with them in the coming months. 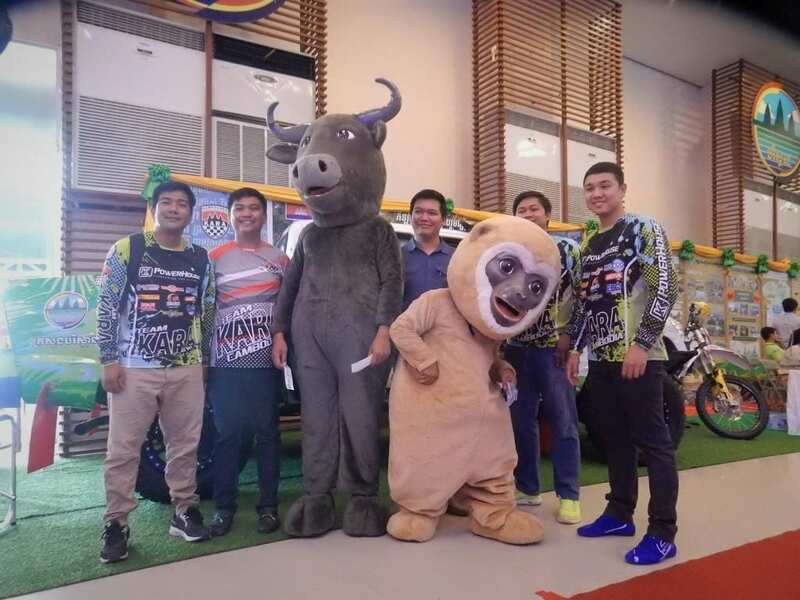 Oct 27-28: Once again, Kouprey Express team was invited by MoE to conduct an environmental booth and engage with our wildlife mascots during the National Career and Productivity Fair held at Koh Pich in Phnom Penh. The event had about 5,000 attendees many of whom joined our booth asking about environmental jobs and also participating in our Q&A to win prizes.